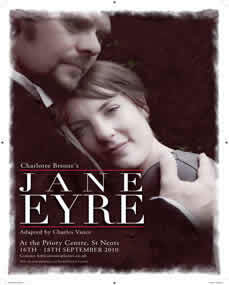 Jane Eyre (Abbie Miles) is a mistreated orphan who learns to survive by relying on her independence and intelligence. Her first job in the outside world is governess to the ward of Mr. Rochester ( Ian Francis ), a man of many secrets and mercurial moods. The tentative trust between them slowly develops into romance, but their hopes for happiness will soon be jeopardized by a terrible secret.